This postindustrial 2,780 sq ft gallery is an unparalleled environment within the South Side for the exhibition of visual and performance art. The Gallery specializes in showcasing and empowering local artists, but has also presented exhibitions featuring national and international artists. The Gallery is a spacious event venue for any personal or business occasion. Thursday 2pm – 7pm, Friday 11am-4pm, Saturday 11am-4pm + By appointment. Please contact info@brewhousearts.org to schedule a visit outside of regular hours. 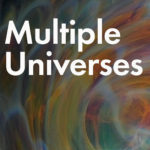 Free public opening reception on Thursday, April 4, 2019; 5-8pm. This exhibition will showcase artwork made by the 9th cohort of Distillery artists in residence at the Brew House. Artists include Casey Connelly, Nicole Czapinski, Juan Jose Fernandez, Anthony Gima, Michael Hull, Jordana McCallen, and Derek Reese. 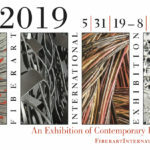 Recognized around the world as a benchmark exhibition, Fiberarts International 2019 includes work rooted in traditional fiber materials and techniques as well as innovative art that explores relationships between fiber and other disciplines. Exhibition will be presented at both Brew House Association Gallery and Contemporary Craft. Interested in renting the gallery for your next event?